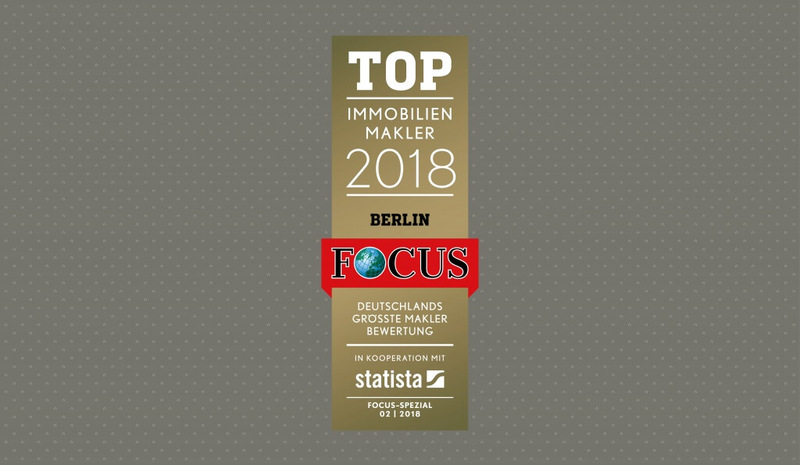 We have yet again been distinguished as one of the best real estate agents in Germany by the renowned business journal Focus. “This distinction by Focus is a validation of our successful work throughout the last couple of years, and at the same time, a motivation to keep going down our current path”, says managing director Caren Rothmann. The coveted certification of quality is awarded to the best 1,000 real estate agents and top 200 commercial property agents in all of Germany every year by Focus, in cooperation with Statista GmbH. The nominations are solely based on recommendations made by colleagues in the industry. About 13,000 realtors are asked to participate in an online survey for this purpose. Further criteria are, among others, a previous year’s mention, a membership at the German Realtors Association IVD, as well as the services offered by the real estate agency. We would like to express our gratitude for this award, as well as for the continuously great work performed by our entire team.